Posted on July 15, 2014 by Michelle M.
It’s Gordie’s birthday! We’re not sure just how old he is – maybe 5 or 6? * Click on this link: GordieBirthday for a printable picture that you can color. Gordie’s favorite place when he’s out and about is the playgym on top of the bookcase. 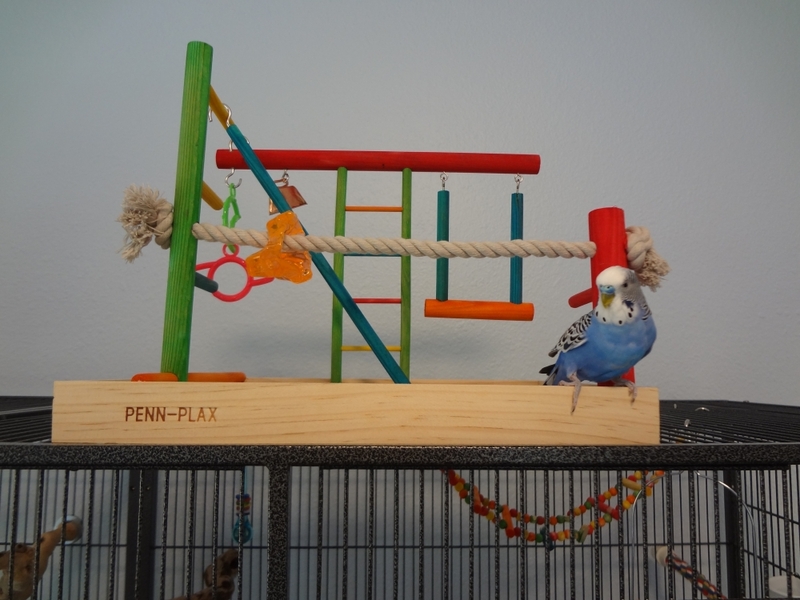 It’s getting a little chewed up, so for his birthday Gordie got a brand new (bigger) play gym. 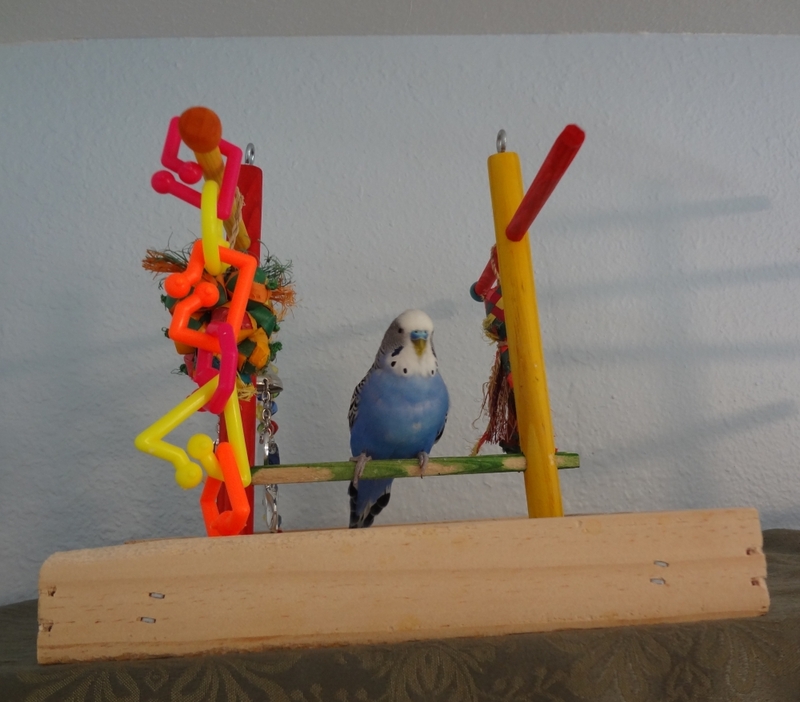 I’m going to switch out some of the perches with natural branches and add some toys. 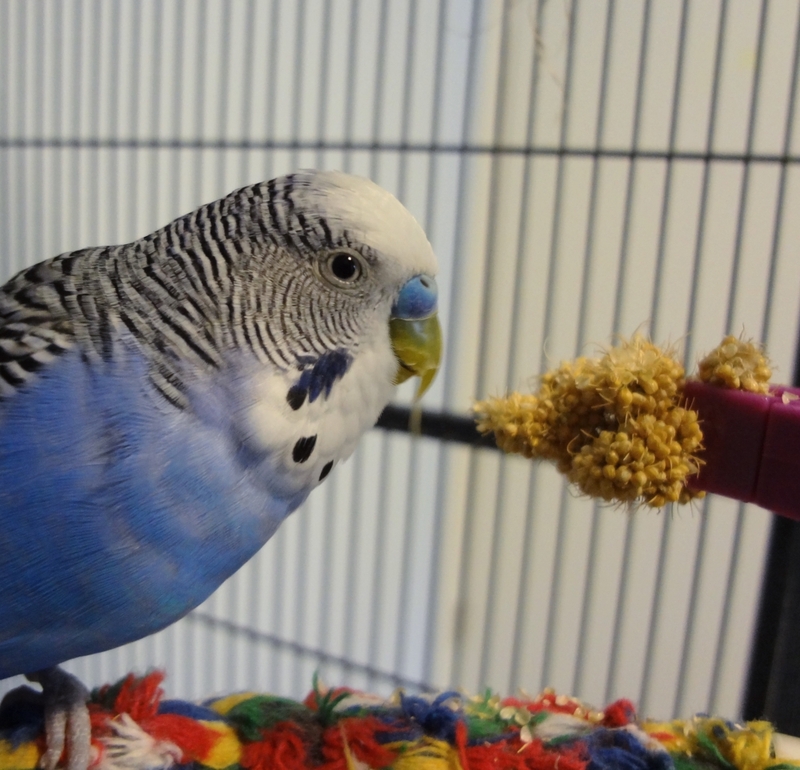 Of course, the flock celebrated with everybudgie’s favorite – millet! Happy birthday Gordie! We love you! 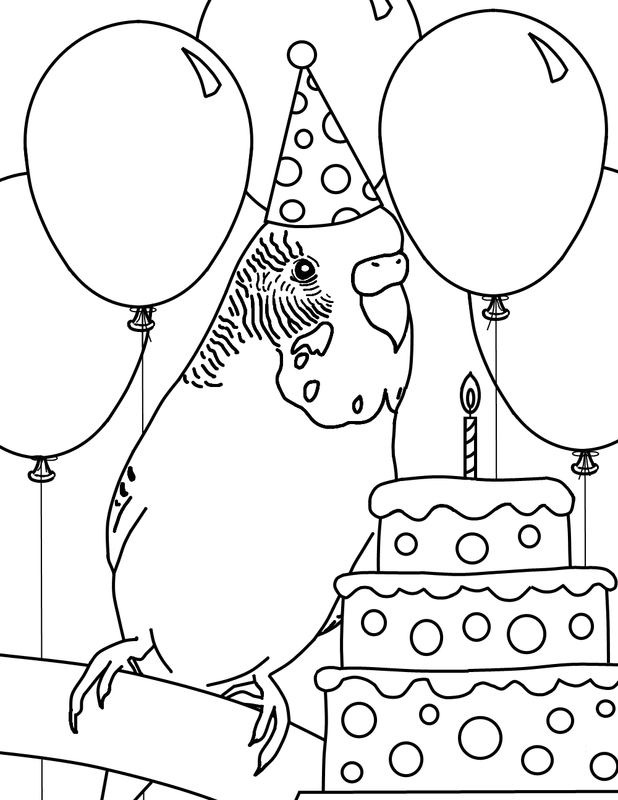 This entry was posted in Gordie, Holiday Fun and tagged birthday budgie, budgie, budgie coloring page, Cooper, Gordie, holiday fun, parakeet by Michelle M.. Bookmark the permalink. Has it been a year already? Wow! happy birthday Gordie! Gordie says,”Thanks!”. We’ve only had him for 6 months. But the little guy needed a birthday, and July 15th seemed like a good day to have one : ). Happy Birthday, Gordie! Hope it’s a wonderful day.